The Usui System of Reiki Healing is the method that I was trained in. Reiki is an ancient healing technique that uses the Universal life force energy to balance the subtle energies within our bodies and to heal. To simplify this, I just say that I am an energy healer. As your Reiki practitioner, I am the channel through which Reiki energy travels. This Reiki energy will then transfer to you and will land where it needs to in order to promote a balanced physical, mental, emotional, and spiritual being. There is an upswing in the use of Reiki energy and other forms of energy healing all around the world, even in hospitals and other more traditional settings. Please note that my Reiki practice is generally a hands-on healing practice, although I have worked with clients to give Reiki from a distance.... yes that does work. I use my intuition to guide me on where to place my hands and because I like to work primarily hands on, my hands will rest lightly on your body. There is no massaging and if you feel uncomfortable, I can stop, switch positions, or use the floating hands method. There is no difference in the benefit experienced by the placement of my hands on your body versus floating my hands over your body, the hands on method is just my personal preference. During a Reiki treatment, you will lay fully clothed on a massage table, covered in a blanket if you choose, listening to soothing music. I will lay their hands on your body in a series of hand positions to deliver Reiki energy, usually in a systematic but intuitive manner. A Reiki treatment generally covers first your head then the front of your body. Some practitioners will have you flip over and do the back of your body. I usually do not do this and it does not alter the treatment or healing. Remember, the Reiki finds where it needs to go. I also integrate crystal healing into my practice so sometimes I will lay crystals on or near your body to help assist with the healing process. Reiki tends to feel warm and profoundly relaxing. You may feel my hands become warm. Some people describe a floating sensation and some see colors or shapes during the session. Some people fall asleep. Some experience emotional release. What you experience will be unique to you. What are the benefits of several sessions? • Enhanced sense of balance, centeredness and calm. Just like meditation or massage the effects of Reiki are cumulative. While one session can work wonders, repeated, regular Reiki treatments can invite significant improvement. As an example: if you exercise for an hour, you will receive benefit. If you exercise every day for a month, the results will be much more profound. Reiki works similarly – regular sessions support well-being in every way. Reiki is a complementary medical art that you can get alone or to help complement other therapies and treatment plans. Healing is often the result of gentle shifts in awareness, release of emotional patterns, achievement of new understanding, and daily practice. Reiki is not a replacement for traditional medical treatment. Reiki is NOT medical treatment. Reiki is intended to be a supplement to, and not a substitute for, professional medical care and treatment. In the case of any serious medical ailment or condition, you should always consult your doctor for advice. I never diagnose, perform medical treatment, make any medical claims, offer any guarantees, prescribe therapies, remedies or medication, or interfere with any form of treatment prescribed by a license medical professional. I will endeavor to do my very best to help you, but I cannot offer any guarantee of success. As the client you will always be treated with the utmost respect and integrity. Confidentiality is an underpinning principle and you can be assured that all personal data and information will be kept safe, complete, and private at all times, both during treatment and afterwards. I like it because you can customize it how you would like. I would recommend for the salt you use epsom salt in your detoxifying bath. If you want to use an essential oil, I would start with lavender. Lastly, for ingredients, I would recommend some simple rose petals. You can get them fairly inexpensively at Trader Joes. You could easily only use a few of them then dry the rest for another bath. This detoxifying bath, I feel, will help you cleanse the difficult energies that we are feeling and get us ready for this powerful new moon in Aries on April 15, 2018. Cleanse that difficult energy and lets start this astrological new year off right! Here is a crystal healing webinar I did a while ago. 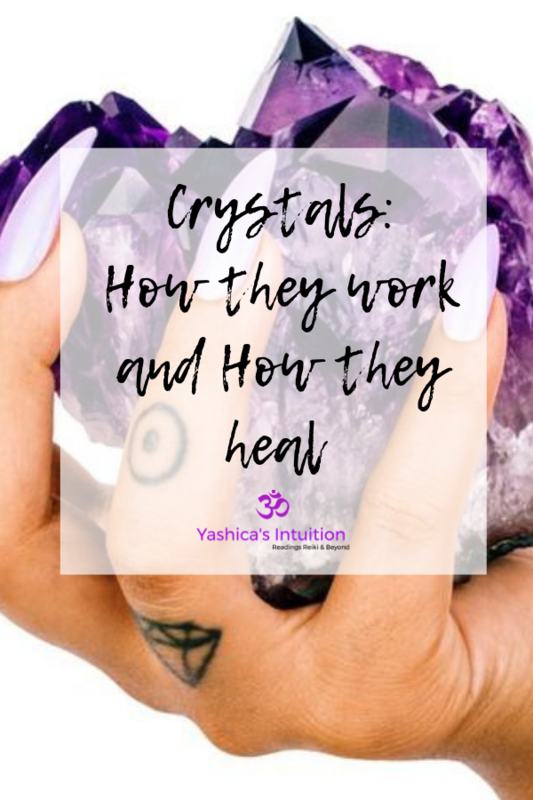 It will introduce you to 6 heavy hitting crystals you can use to heal your life and will explain what crystals you can use for certain things like crystals for love, crystals for money, and more.